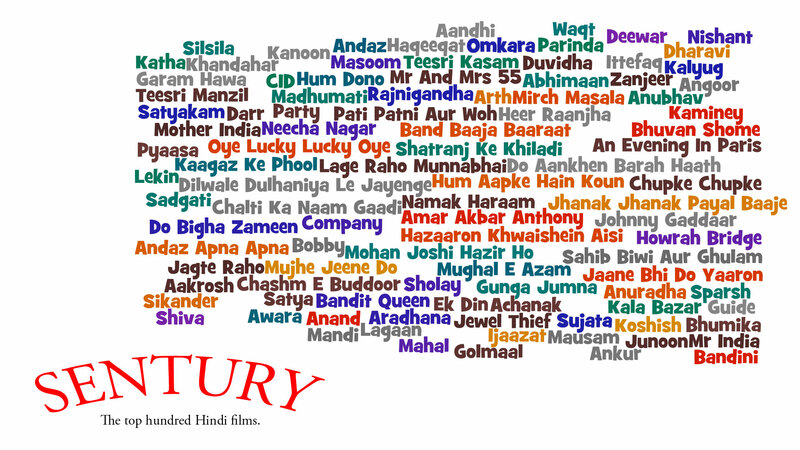 After 99 Mirror columns, Raja Sen marks his ton by listing the hundred greatest films in the hundred years of Hindi cinema. Click on the image to view the list full-size. Please debate and disagree with inclusions and omissions in the comments section, but for every film you want to add, do suggest which one to toss out. More entries: Andaz Apna Apna, Bees Saal baad, Parinda, Ek Ruka Hua Faisla but it is tough to find entries that can be replaced!!! so is Darr, kaminey and band Baaja Baraat! Toss out Hum Aap Ke Hain Kaun for Dil Se and _probably_ Band Baaja Baarat for Dil Chahata Hai. Black Friday & Don (orignal). Haven’t seen quite a few of them so tossing out seems a harder task, but still I’d say Band Baaja Baraat & Hum Aapke Hain Kaun. But good compilation, cheers for a pretty pretty neat job!!! Black Friday. It may be there in this fucked up photo but couldn’t locate. Great List Thanks A Ton For Mentioning Garam Hawa, Namak Haraam and Aandhi. Few people have actually seen these wonderful movies and they are some of my favorite films from the past…. Shor in the city?? I think it’s one of a kind..
replace: darr, lage raho munnabhai, kaminey, ddlj, hum aapke hain kaun. With: dil ek mandir, footpath (dilip), pukaar (1939), paar, ek doctor ki maut. Add Don (1978). Remove Silsila. oh u certainly missed UDAAN !!! Taare Zameen Par and 3 Idiots can replace Band Baja Barat and Pati Patni Aur Woh! On second thoughts…. a good list but toss out Johnny Gaddar for Dev D please…..
Angoor, A Wednesday, Three Idiots, Rang De Basanti , and Dil Chahata hai must be included in the list. and Remove atleast Band baaja baraat for sure..